February 20, 2016 an ice-skating competition took place here in Ohio. Our very own senior, Bridget Richards, took second place with her team. I had the opportunity to ask the skater a few questions on her and her passion for her sport. When did you start ice-skating? In second grade with public lessons. What influenced you to skate? I saw videos of Michelle Kwan skating in the Olympics and thought she was so pretty and wanted to be like her. 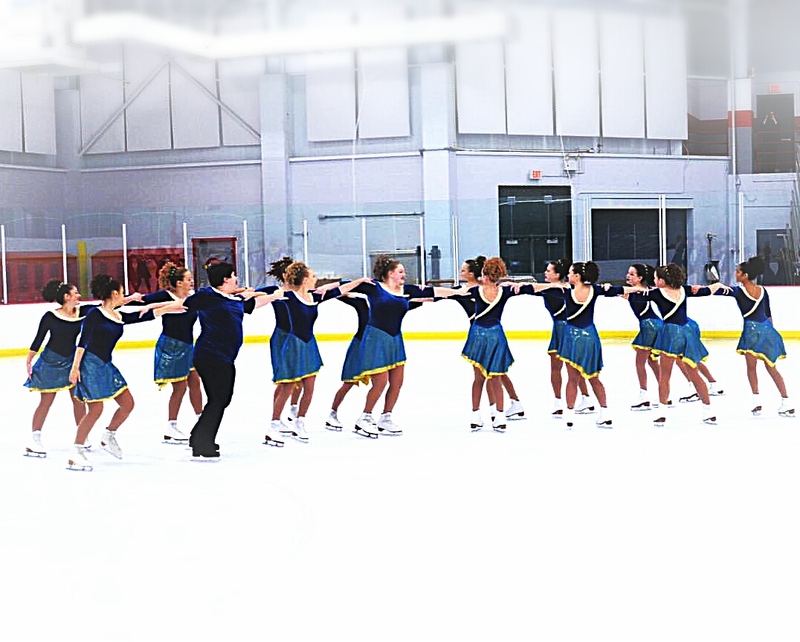 During the synchro season, about seven hours a week. What’s been your highest achievement while ice-skating? In 2015, I passed my intermediate moves-in-the-field test, the sixth-highest out of nine levels. What’s your favorite part of ice-skating? My favorite part of ice-skating is the feeling of accomplishment after you do something really well for the first time. I’m almost always sore or bruising somewhere on my body because of it. How much longer do you plan to ice-skate? I’d like to skate–and potentially coach too–for as long as I can. Do you have a hero who is an ice-skater? If so, who and why? Michelle Kwan, since she inspired me to start skating and all of the coaches that have helped me as well. Previous Previous post: Need Six More Hours of Service?